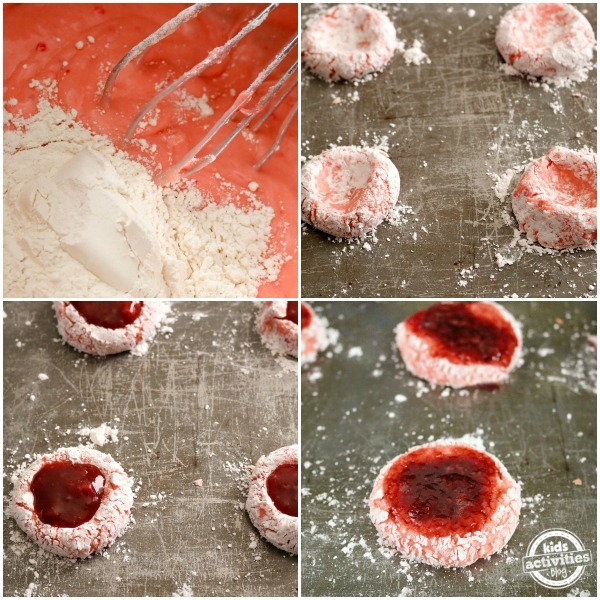 Strawberry preserves aren’t just for breakfast, they make yummy Strawberry Thumbprint Cake Mix Cookies too! These tasty treats are a fun and easy way to bake with your kids. In a large bowl, beat the eggs until smooth. Add the cake mix, butter, water and flour. Mix until fully combined. The batter should be thicker, and able to be rolled. Roll cookie dough into 2 inch balls and then roll in the powdered sugar. Place on a greased sheet pan. Press your thumb down into the center of each ball to create the thumbprint. 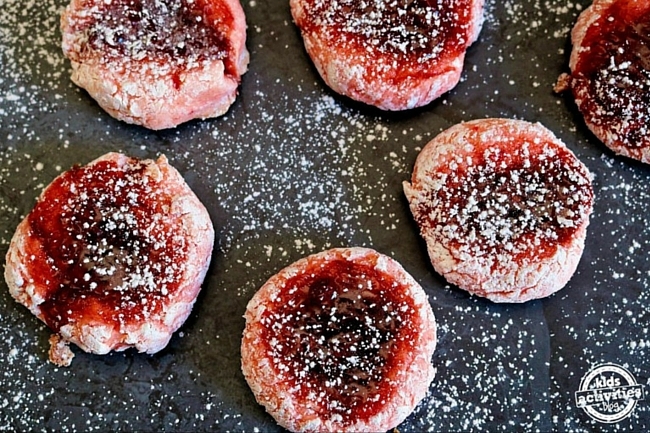 Fill each thumbprint with strawberry preserves. Bake for 10-12 minutes or until set up, and bottom edges are golden brown. Try heating the preserves a bit if you find it difficult to spoon into the cookies before baking. These cake mix cookies are beautiful and will add color to your cookie plate. 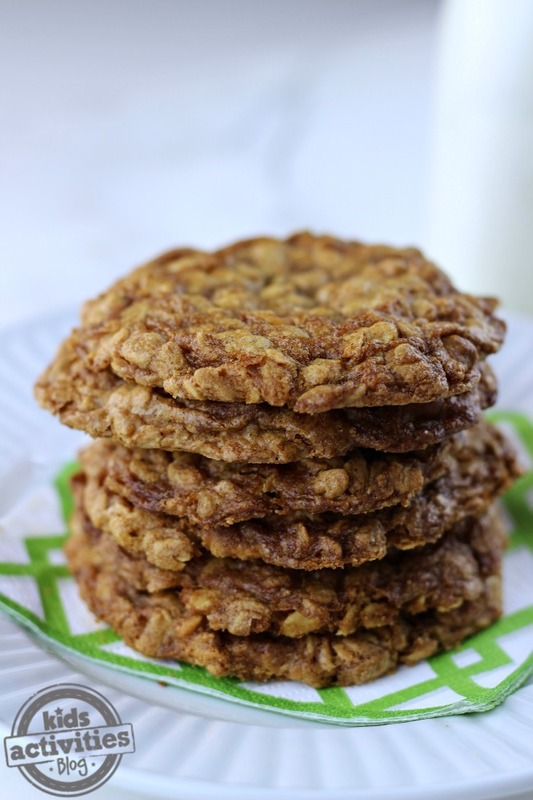 Want some more delicious cookie recipes to bake? Then check these out! 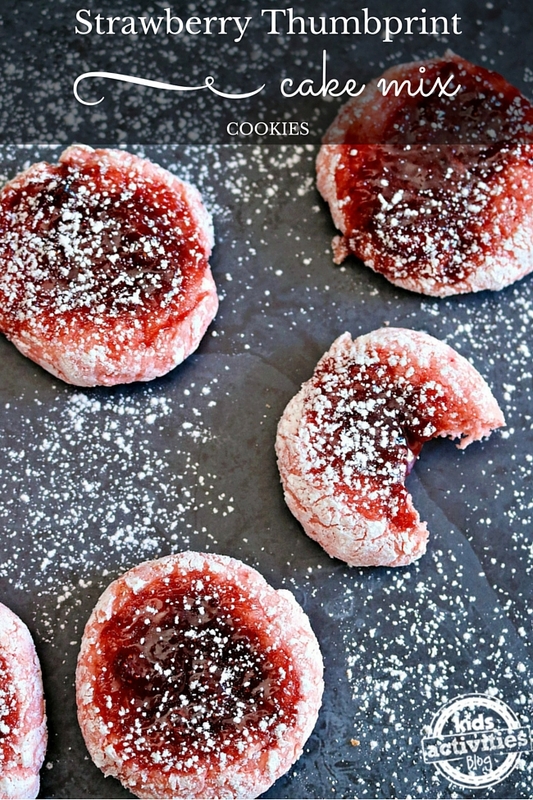 Leave a comment: Did your family enjoy these strawberry thumbprint cookies?